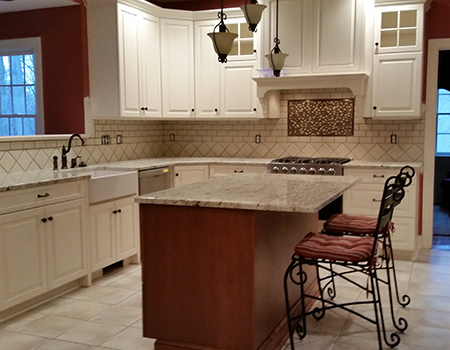 Our experts will help you design your dream kitchen and give you a beautiful remodel. For homeowners looking to improve their home's function, appearance, and value, kitchen remodeling is one of the best home improvement projects available. At LG Building and Remodeling, we specialize in design and remodeling services that will help you create your dream kitchen! We offer a wide range of kitchen remodeling services and materials, and our experts will help you choose the right fit for your home. If you're interested in any of our kitchen remodeling services, contact us today to get started with your free estimate! Design: The first step to any kitchen remodel is creating the right design for your home. This can be as simple as a facelift of new counters, cabinets, and appliances, or a complete re-design of the kitchen's layout. Our experts will help you determine the best layout for cabinets and appliances, a kitchen island, eat-in seating, and any other design features you want in your dream kitchen. Custom Cabinets: We provide complete cabinet upgrades, including design and installation of custom cabinets. We can help you reconfigure your cabinet layout to improve function and storage, as well as provide unique design features. Flooring: We provide all types of flooring installation options, including hardwood, tile, stone, and laminate. Our experts will help you choose the right flooring style for your design and budget. Countertops & Backsplash: Countertop and backsplash installation are key design features, and we offer a full range of materials that include granite, natural stone, quartz, manufactured, butcher block, and tile backsplash. We can also provide custom designs to fit islands or peninsulas. Sinks & Appliances:No kitchen remodel is complete without upgrading the sink, faucet, and appliances, and we'll help you choose the right fit your home. We provide installation for all major features of your kitchen. Creating a functional workspace for cooking with new appliances is a key goal for many homeowners. Adding an island with bar seating is a great way to improve your kitchen's layout. 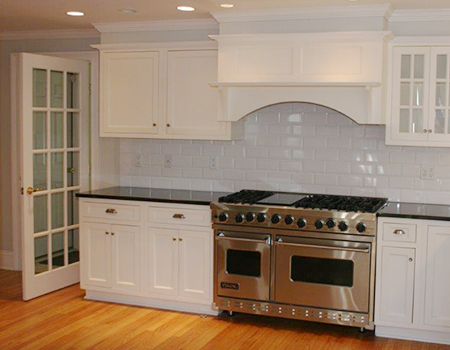 If you're ready to start your kitchen remodeling project, the experts at LG Building and Remodeling are here to help. We'll provide you with everything you need to create your dream kitchen, from design to remodel to finishing touches. Contact us today to get started with a design consultation and estimate!